Planned Maintenance, Emergency Call Out Service, Service to remote locations, 24 hours a day, 7 days a week, B&J is there for your company. Whether you are in Anchorage, Dutch Harbor, Kodiak, or Prudoe Bay, B&J will get you up and running. 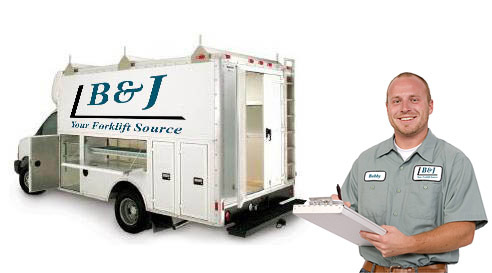 All Makes, All Models, B&J is your Forklift Service Source!